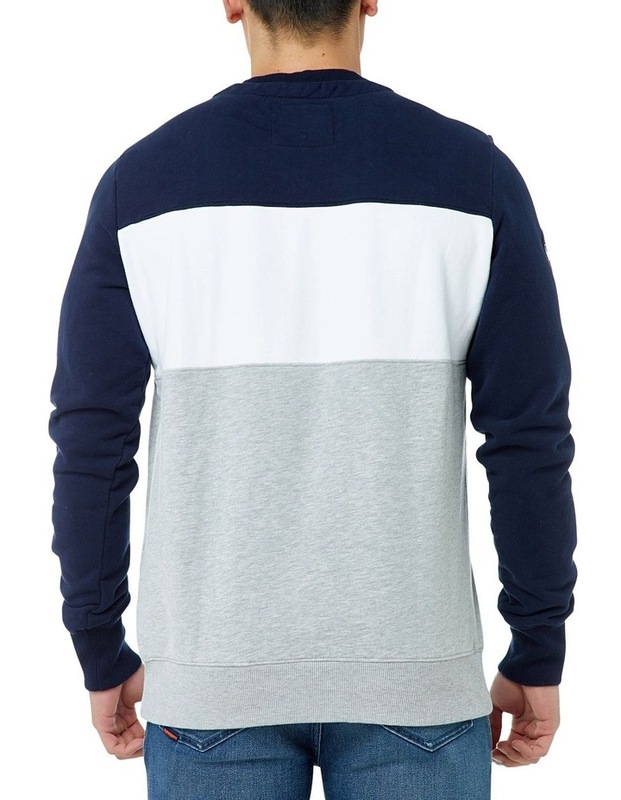 Superdry mens Academy colour block sweatshirt. 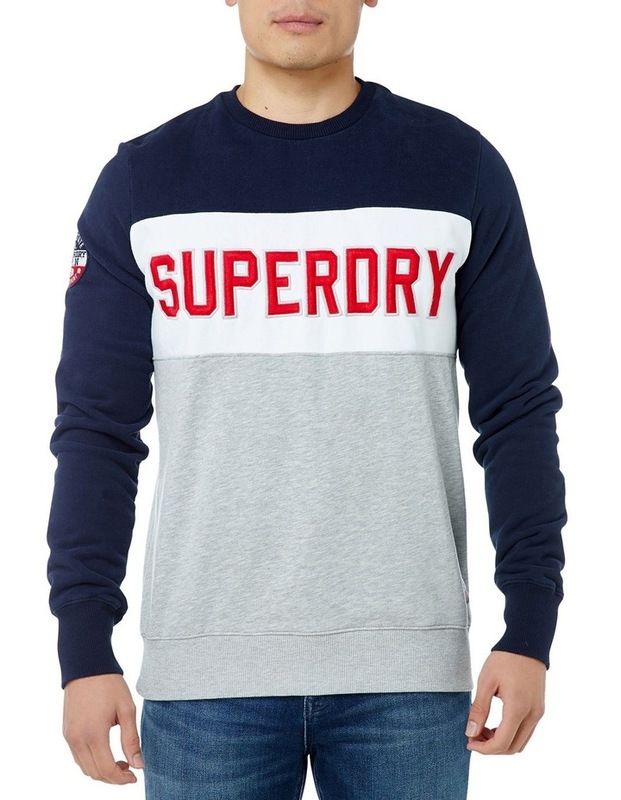 This soft, long sleeve sweatshirt features an applique Superdry logo across the chest and ribbed cuffs and hem. 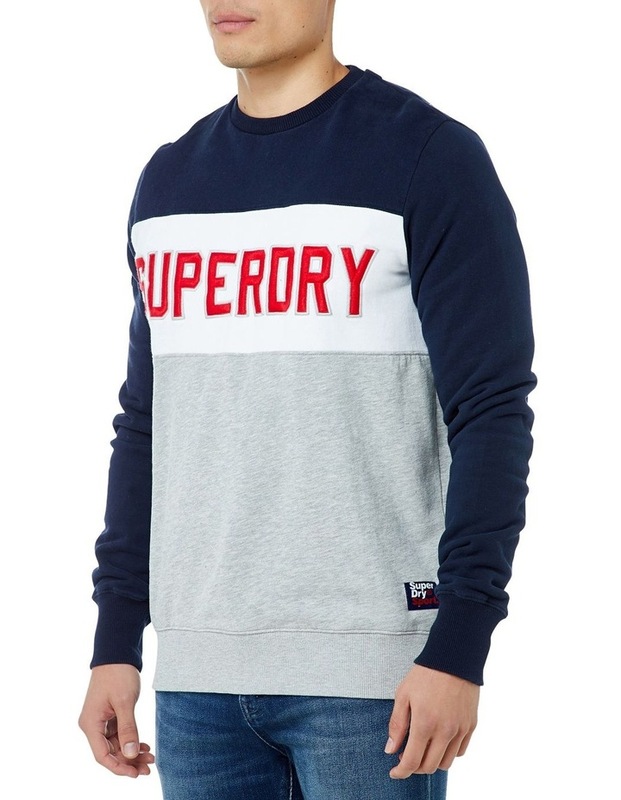 For the finishing touch, this jumper has a Superdry Sport patch above the hem. This will pair well with jeans or joggers making it a great everyday item.